While South Korea is most well known for it’s addictive Korean drama series or it’s K-pop music, a lesser well-known secret is that South Korea has an ever-growing generation of cyclist! South Korea is actually one of the best countries in the world to explore by bicycle, and almost no one knows, not even cyclists! Whether you are looking for a short route nearby Seoul, or an end to end South Korea country-wide path, they have both of them. South Korea has built massive cycling infrastructure in the past few decades, including a network of cross-country bike paths. 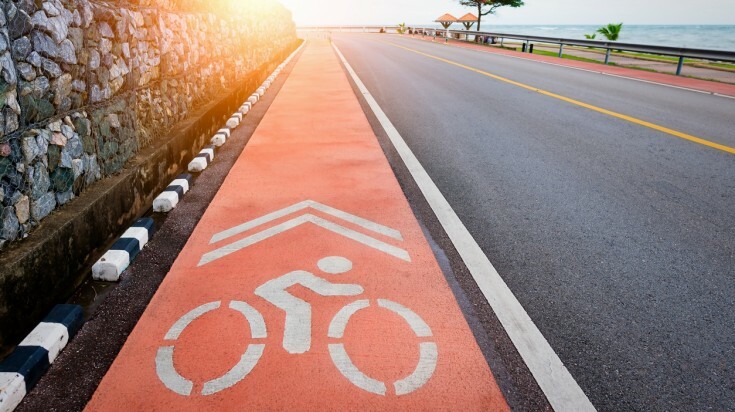 You read that right, bike-only paths spanning the length of the country, a coastline, or across a scenic or challenging segment. These bike routes are a mix of well-maintained paths through parks and along rivers, quiet country trails, and small roads. The vast majority of the paths, barring mountain passes and remote areas, are car-free. 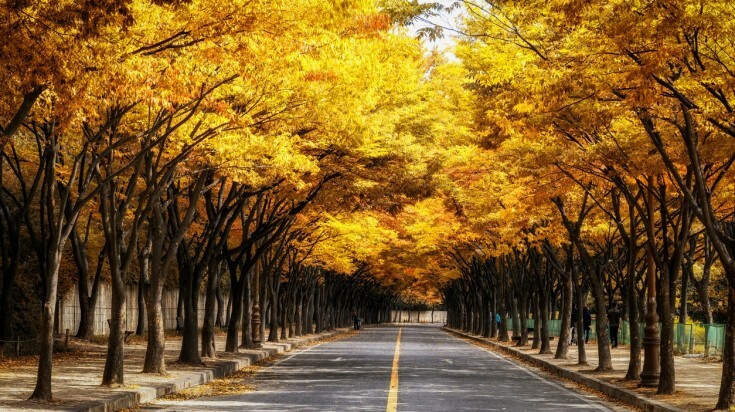 This is one of the many reasons why South Korea should be added to your list of potential cycling destinations! Here is a guide on the 5 best cycling trails in South Korea coupled with things you should know about the country and top travelling tips. Easy to find eateries throughout the country that serve Korean food including rice bowls, dumplings, BBQ, etc. This is one of the best paths in the world with a dedicated cycling highway with multiple lanes and made just for bikes. 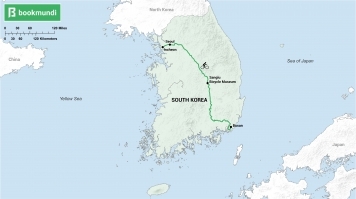 It is one of the most challenging trails, though, as it runs all the way from the north west corner of South Korea to the south east corner spanning almost 600 km. While cycling the 4-Rivers Paths, a must-see place is the Sangiu Bicycle Museum which is seemingly in the middle of nowhere. This fun and interactive museum covers the history, culture, and technology of the bicycle in its entirety. Most of the museum is in Korean, but exhibits are interactive enough to understand the main points and have a good time! You can start your trip from either Incheon or Seoul, and you definitely can’t miss the paths as it literally looks like a biking highway. From Incheon you can follow the path all the way down to the Busan in the south. While most cycling paths are uphill and downhill, the 4-rivers is mostly a flat paved route which will not cause you much difficulty in terms of altitude. The only difficulty comes with the duration of the trip often taking weeks to complete. The 4-Rivers Passbook is unique to this cycling trail. The path has red booths along the way so you can get a booklet stamped as you complete your journey. Once you’ve completed it you can send the booklet in and get a medal and certificate of completion. There are so many great trails in South Korea, but to get the truly best cycling experience, the 4-Rivers trail is a must. Not only the length of the trail but the quality of trails and the amazing scenery you’ll find along the way is just another reason we find this one of the best in the world. While in Seoul, you have got to try these great street foods that will fill your belly but won't hurt your pockets! Starting & Ending Locations: Anywhere along the Han River path in Seoul. 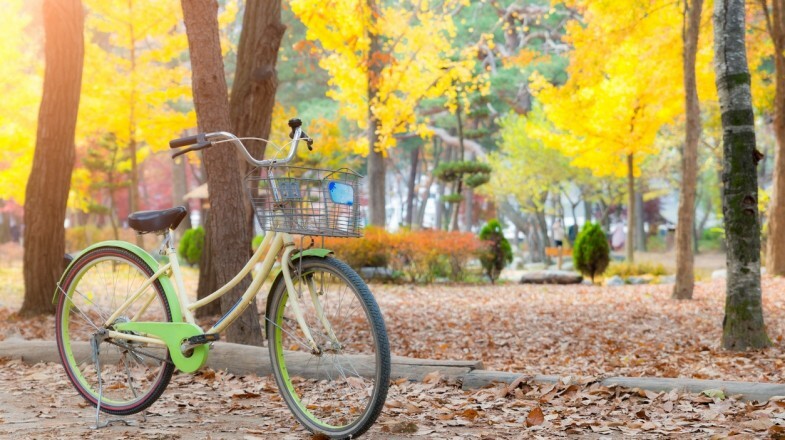 Suggested to start in Yeouido Park where you can rent your bicycle. While most times biking trails are found outside of cities in the sprawling countryside, you can’t always get out of the city to enjoy it. That’s why it’s great when cities create biking paths for those who need a quick fix during the work week like the Han River trail. 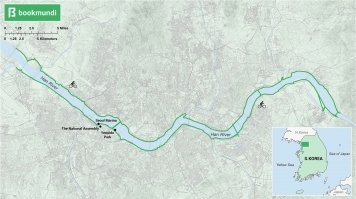 The Han River flows right through Seoul and one of the best bike paths in the city is along it. The paths run on both sides of the river almost the entire length of the city. You can start anywhere, but if you didn’t bring your own bike, you can easily rent one in Yeouido Park. This bike path is a great way to get to know the city if it’s your first time. Along the ride there are many things to see including the Seoul Marina, The National Assembly, Yeouido Park (Korean gardens) and the Saetgang Eco Park. This is an easy path that is primarily all flat and paved so it’ll be an easy ride’. Weekends can get quite busy so just remember to be aware of your surroundings while biking. While the length of the paths are only 40km, riding on both sides doubles your ride to 80 km. Whether you’re local or a tourist looking to get a little exercise while in Seoul, the Han River trail is a perfect way to spend a free day while still seeing all that the city has to offer. While the mainland has many great paths, if you want to experience cycling on a beautiful island full of amazing beaches, then Jeju Island is definitely your cycling dream come true! 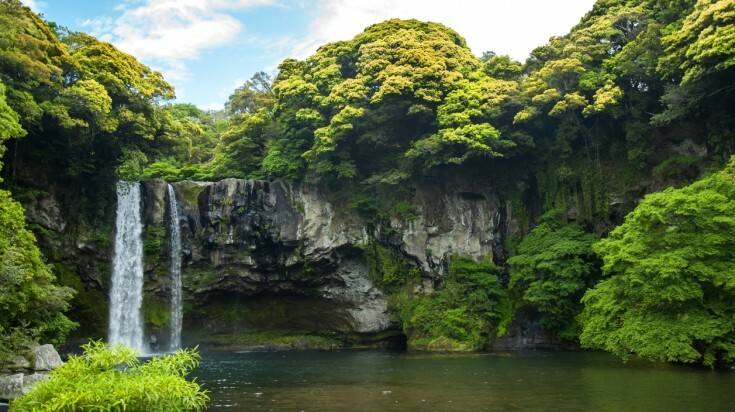 The best starting point is in Jeju city as you can stock up on supplies and get well rested before you start your week-long journey around the island. 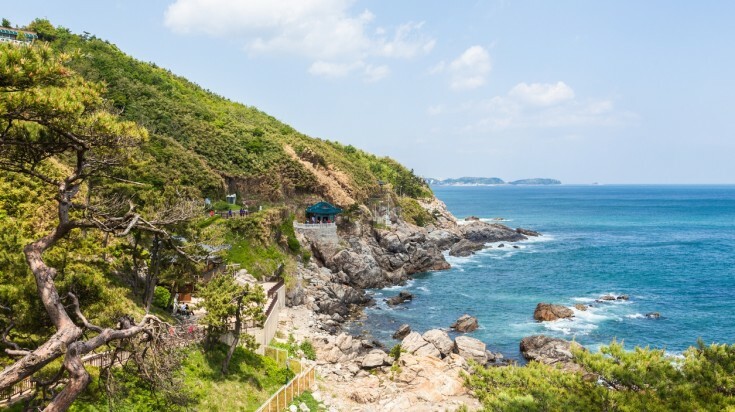 Most cyclist go around the island counter-clockwise and pass by Hyeopjae beach, Songaksan Mountain, and Jeongbang Waterfall along the way. This path is rated easy as it is primarily flat and there are plenty of places to stop and rest along the way around the island. The path also has many side trips whether that be a beach or waterfall it’s definitely one of the more enjoyable rides in South Korea. Of course you could always pick one of the trails closer to Seoul, but Jeju cycling trail is a unique pick because you can go from one tourist destination to the next as you circle around this tropical island. Similar to the 4 Rivers trail, the East Coast Cycling trail is a cross country trip that will take you about 14 days to complete spanning from one end of the country to the other. This is by far one of the coolest trails in South Korea because you never leave the coast. There are times where you have mountains on the right and the ocean on the right and it’s so peaceful the whole ride. The official starting point of this path is at the Unification Observatory at the northern tip of South Korea. Many people just start in Sokcho as it’s easier to get there. If you want to collect the official stamps then you’ll need to go to the Unification Observatory. From the Unification Observatory you’ll follow the trail all the way down the eastern coast through every port and city along the way until 720 km later you arrive in Busan. 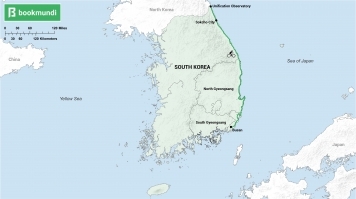 You will travel through both the North and South Gyeongsang provinces. The path is well maintained and paved the whole way. You will pass through many seaside villages with ports that have plenty of fresh seafood and restaurants along the way. While much of the journey is quite flat, there are quite a few mountains that you will need to pass. The paths that are made for cyclists don’t have very steep climbs, but there may be hours spent climbing mountains that may tire you out. This is why we would still consider it a moderate course due to it’s length and mountain passes. This ultimate cross-country cycling trip is one of the best in the country and is great for those interested to learn more about South Korea’s landscape and rural village life. This cycling trail isn’t for the weak hearted. If you are an avid cyclist then this rough cycling trail in South Korea will be a great challenge. The best part about this path is when you hit the peak, you can see the beauty of the South Korean countryside — all the way from Yangju to Seoul. Imagine that! This path starts in the Songnaedong area and winds around the mountain to end near Dongducheon. 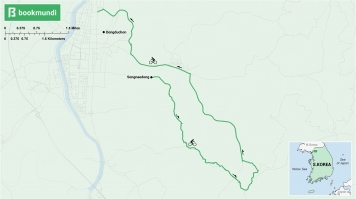 It’s just nearby a few other trails if you want to continue traveling around, but this one is considered the advanced section of the WangBangSan race course. The path is dirt and rocks and winds along the edge of a mountain. The Chilbongsan trail is not for beginners. The trail can be straight up and straight down at some sections which can be very difficult for inexperienced riders. This path is meant to be a challenge and is designed only for those who don’t mind a rough ride. While this path may not be for everyone, adrenaline junkies will definitely enjoy a day bouncing around the hills of the Chilbongsan trail. Language Barriers: While most Koreans may seem uncomfortable and don’t speak English well, you’ll find many people have electronic translation devices they can use to easily communicate with you. That aside, it always helps to master a couple of phrases, like “hello,” “thank you,” “help,” and of course, “where’s the toilet?”. To get the most out of your South Korean experience, learn the Korean writing system to help you with signs, directions, and even menus. Surprisingly, the Korean writing system is very simple and only takes a few hours to learn. Knowing how to read some important words, like “motel,” or the name of your next destination will give you confidence and make your journey that much smoother. Food: Traditional Korean food is hearty fare and actually quite healthy. Piping hot soup along with rice, kimchi, and other side dishes makes up a meal and is great fuel for cyclists! You can also often find a quick BBQ snack to eat on your routes. If you find yourself craving a taste of home, you can find a variety of Western cuisines in most major cities. Coffee culture has also taken the country by storm, and you can find coffee shops nearly everywhere these days, along with Western-style bakeries offering a surprising-and delicious- variety of traditional baked goods, from sweet to savory. 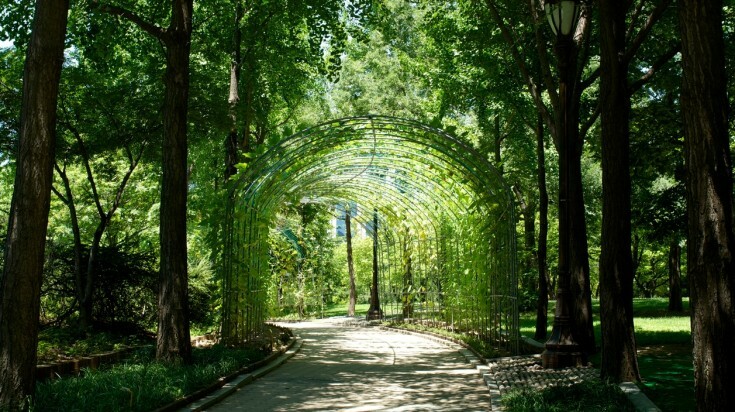 Accommodations/Camping: South Korea’s bike paths are very well maintained and are very safe. Many of the paths wind through farms and fields and throughout the entire way you’ll find free camping areas. You can often camp right along the path, on parks, or on the beaches for free. As most of the paths flow through cities, there are also many hotels along the way. While you can book hotels ahead of time, it is not required as most of the cities along the path always have many vacancies. Saunas: What can be better after a long day of cycling than relaxing and resting your legs in a steaming hot bath? Locally referred to as jimjilbangs are communal spas, saunas, and hot springs all in one, and are found throughout the country. A jimjilbang entry fee usually means 24 hours of use, and it is acceptable and common to stay overnight if you’re in a pinch for a place to stay. Bicycle Shops: While there are many different shops in the country, the ones carrying the parts you may need for repairs can only be found in the larger cities. Make sure to mark some of these on your paths so you are aware of where the next one is. If you’re flying in from Seoul you can stop at Watts Cycling, BB5, and Peulleoswi which are some of the top-rated shops in the city. Late spring (March to May) and early autumn (September to November) have the best climate for bike travel. Winters (December to February) on the Korean Peninsula are bitter cold, and summers (June to August) are incredibly hot and humid, both unfavorable conditions for enjoying the country by bike! If you’re visiting in the spring, you’ll get a chance to see the cherry blossoms bloom, which happens about several weeks later than in Japan. In the fall you can catch the leaves changing. Thank you for this excellent overview! Can you comment on the amount of on-road riding on the East Coast trail versus the 4 Rivers Trail? This post http://www.cyclingcorea.com/home/category/east-coast-route was also very positive on the East Coast Route but said that there was a significant amount of riding on the road. Perhaps this has changed since 2016 with the addition of more bike path. Hi Erick, thanks for the comment! The 4 Rivers trail is the most developed of all the paths, with even some road sections towards the end of it. The East Coast route will be busier but more scenic option, rolling through ports, harbours and excellent beach areas. Wind is a factor, being a coastal road, so you will come up against this more than the 4 Rivers Trail inland. This East Coast route was completed in 2016 and runs for 700kms. The road is primarily made up of quiet coastal roads used by cars with dedicated bicycle lanes. There will be significant time on roads but you will be kept away from traffic either on segregated bike lanes, and lanes separated by traffic barriers. Thanks for this overview! South Korea is on top of my cycling holiday wish list! One question though: where do you obtain the 4 Rivers Trail Passbook?